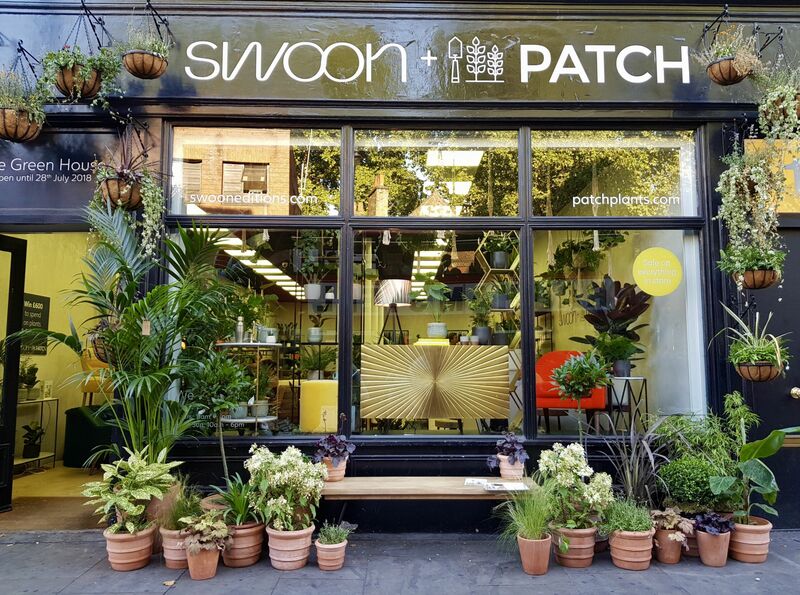 On Thursday night this week, I decided to have a night off from the bedroom makeover and redecorating and headed along to the Swoon x Patch pop up in Shoreditch. 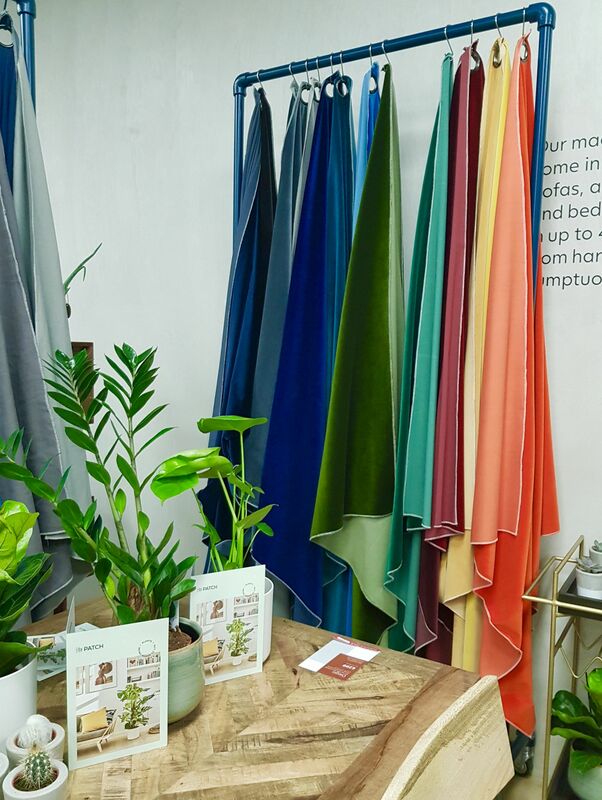 At the time it was the hottest day of the year and quite honestly I turned up in what can honestly only be described as a melting state, but as soon I stepped into the pop-up show room I was greeted by the sight of so much greenery that I instantly felt cooler and calmer. 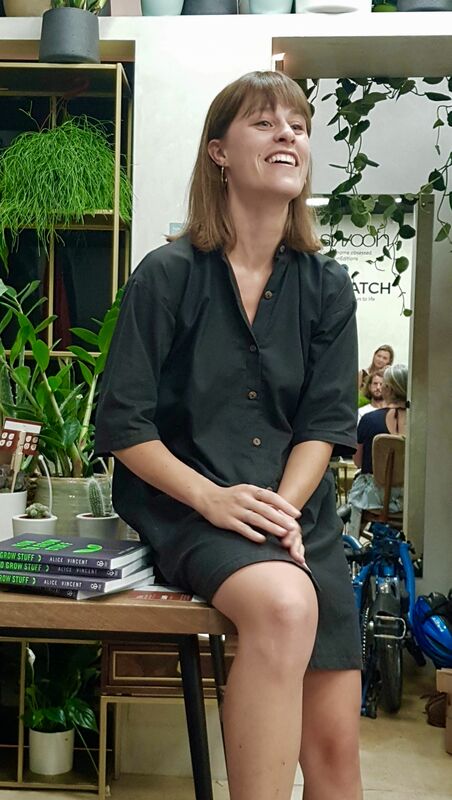 I was there to attend the ‘How Not to Kill Your Plants – Houseplants 101 workshop with writer and gardener Alice Vincent (Noughtie Culture) and the evening was the perfect refuge from the heatwave. 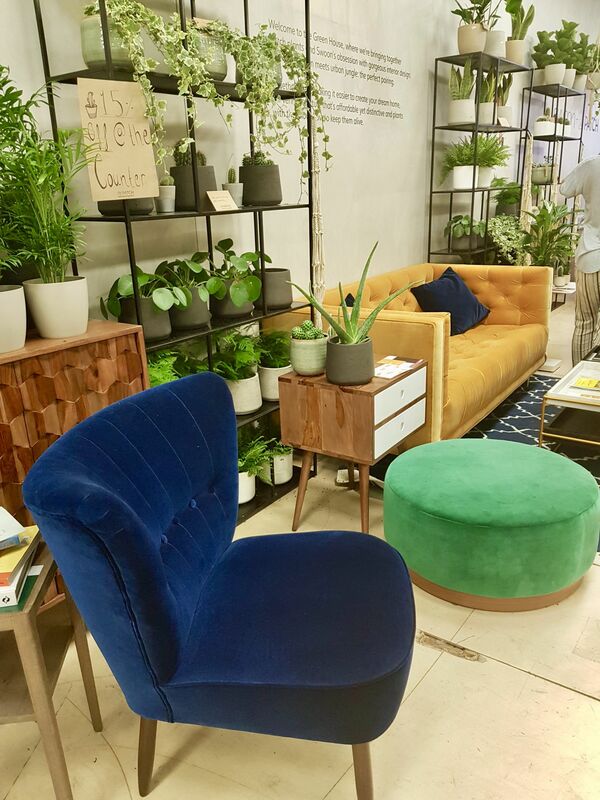 I know, I know going to an Interiors and Plants pop-up isn’t a total night off from all things re-decorating, it was a prefect little break which gave me lots of inspiration and motivation to complete the room makeover. 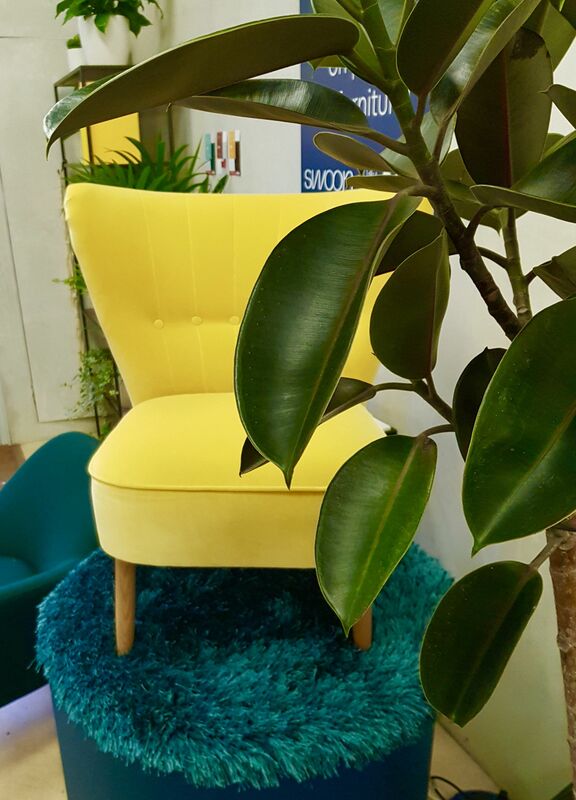 I love Swoon Editions, the style and look of their furniture is always beautiful. 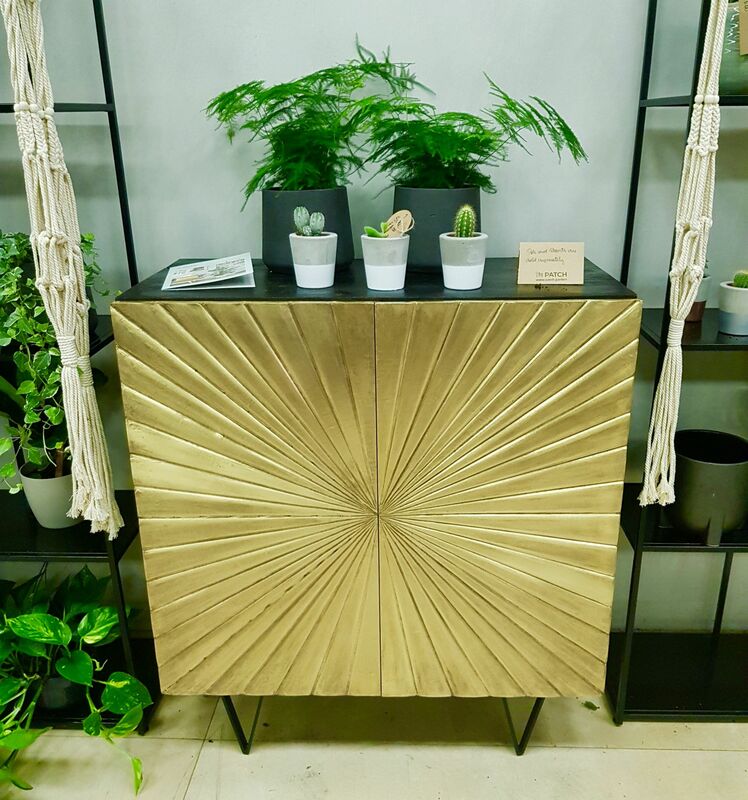 Swoon is great for statement pieces such as the Ziggy cabinet, but the attention to design resonates in every piece. Their jewel toned sofas are incredible and so so comfy! Serious home goals all round with Swoon (basically I want to buy it all!). Alice’s talk was so good! I love all things to do with plants and gardening, so for me to spend an evening surrounded by beautiful plants and homeware, while learning so much from Alice was pretty much a perfect evening. 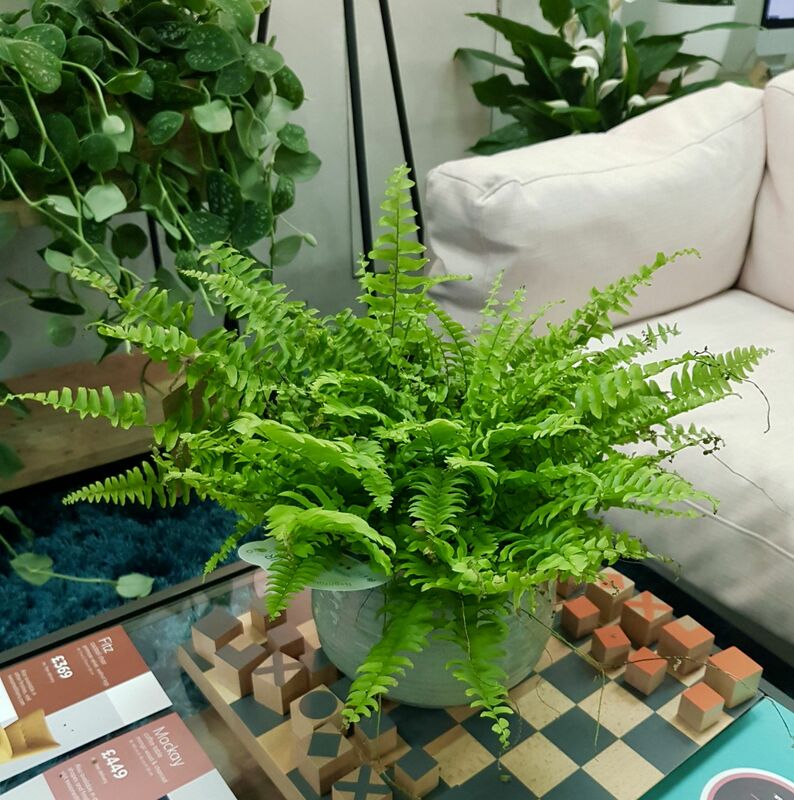 I’m keen to put all I learnt into practice and keep all my houseplants happy and healthy and I’ll be sharing a post soon on all the important plant tips I learnt from Alice. My top tip would be to sign up the Patch free email newsletter via their website. I love it as every day a little email lands in my inbox and it includes a video course with Alice all about Houseplant parenting. Alice also does a little bitesize video for each plant on the Patch website which is so helpful when you’ve got your new plant home. I’ve wanted to buy lots of lovely plants from Patch for ages! I refrained though as online I would just put every gorgeous plant in my basket, way more than I had space for. 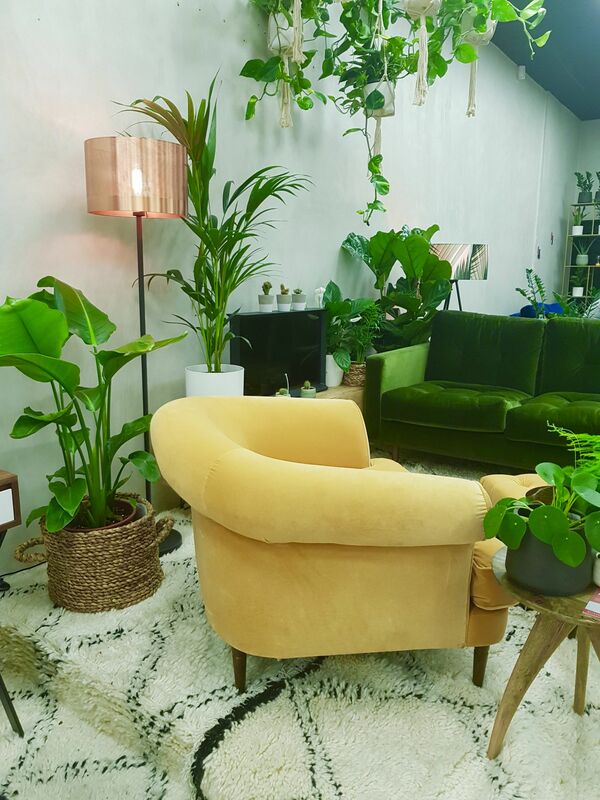 The pop up was great, as I got to see the plants and their locations and importantly the size of them to work out what would work for the spaces I have. Introducing some plants into my bedroom is an important part of my room makeover. The reason for the change has been to make the room a brighter and calmer space and I think plants are a really important part of that. We were gifted a lovely little plant as part of Alice’s talk and I chose a cute Prickly Pear which I think will look lovely on my new desk set up. I also managed to show some good control and only picked up 2 other plants from Patch. 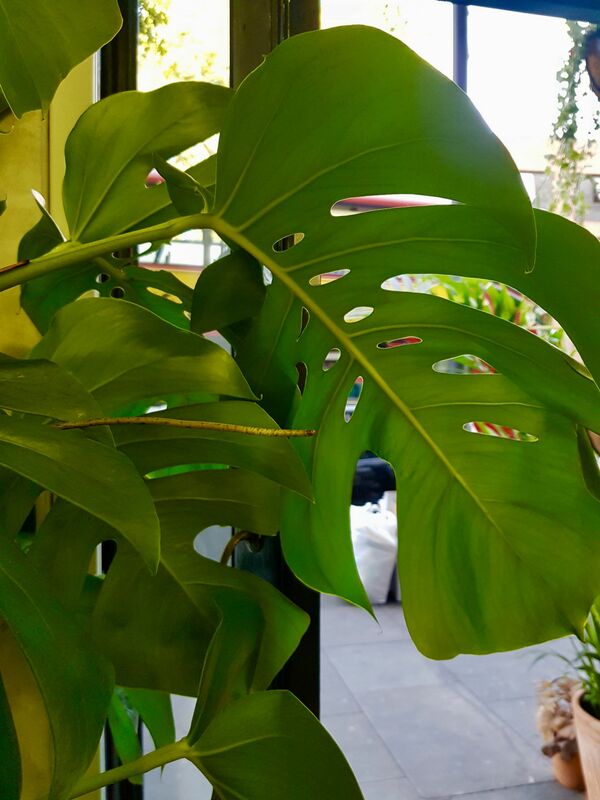 A small Parlour Palm (a Chamaedorea which Patch calls Sharon) and Chaz the baby Monstera. I love that Patch name all their plants. I do the same thing to help me look after them and keep them alive. Cool little fact is that the Parlour Palm made it onto NASA’s list of 50 indoor plants that clean the air, so I figure it’ll be a great addition to my new room. I like that the plants and post in Patch are super affordable with prices starting from £4. My Parlour Palm was just over £6 with the pop-up 15% off and I couldn’t be happy with it. In fact I keep staring at my plants! Sadly today is the last day of the pop-up so if you’re nearby do pop in. However don’t worry if you’re not London based or can’t make it, as everything is available online. If you spend £200 or more at Swoon Editions, you can get 15% off here (affiliate link). 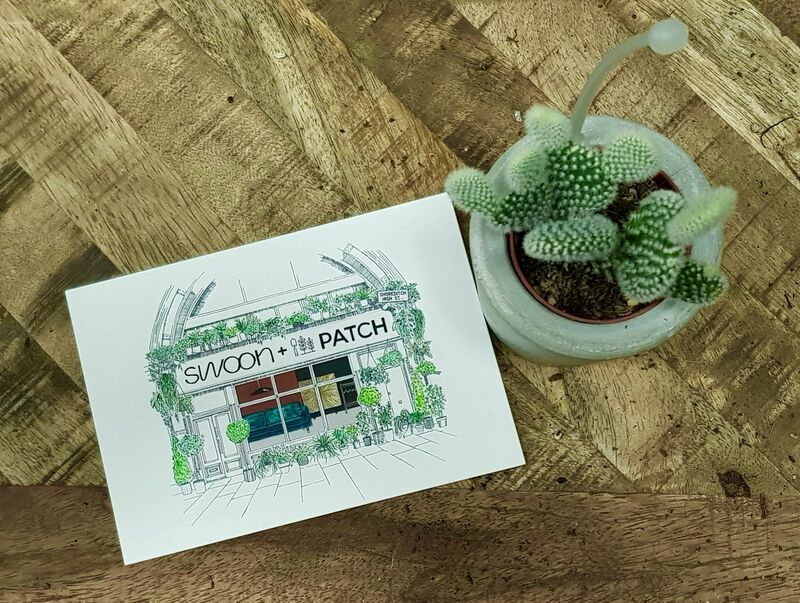 For Patch use the code GREENHOUSE for 10% off until 1st August. If you do pick up anything from Swoon or Patch, feel free to share a picture and let me know on Twitter or Instagram. I always love seeing pictures of happy plants and interiors! This is not a sponsored post, I just love all things plants and interiors related.